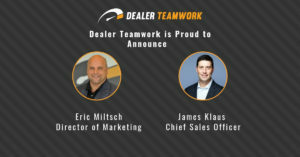 Dealer Teamwork is excited to announce the launch of our new MPOP® Facebook Share tool! You can now instantly build and share MPOP® created offers to your company Facebook page with our Facebook Share tool in just a few clicks. 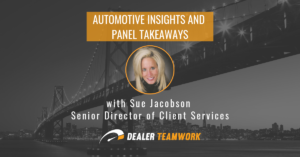 Watch the video or read on to learn about how to use this new feature. 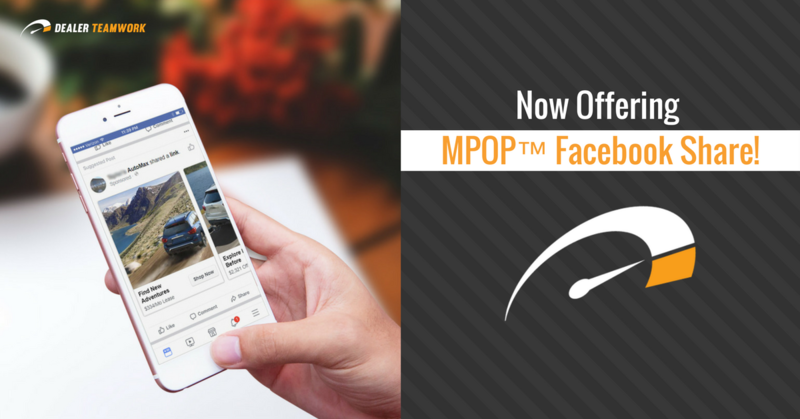 Please note: if you want to use the new MPOP™ Facebook Share tool functionality, you need to ask your Dealer Teamwork Account Manager or Support to turn it on for your account. 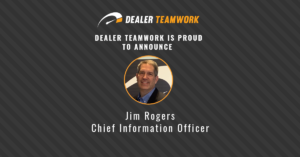 Welcome back to the Dealer Teamwork How-To Video Series. We’ve got another exciting feature enhancement to show you today. The Facebook Sharing Feature is now live! In this post, you’ll learn how you can share your offers to your Facebook business page from within the MPOP™! Now you’re in the new Facebook Share preview page. The title and caption will populate from your offer. Once you’re ready to publish, click on Share to Facebook. You’ll see a confirmation that it has been successfully posted to Facebook in the top right. Then, go back to your Facebook page, refresh it and you’ll see your new page post! 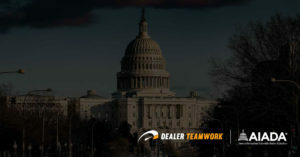 Contact your Dealer Teamwork Account Manager with any questions, and if you’re not using the MPOP™ to build your campaigns, contact us for a demo – sales@dealerteamwork.com.